Discussion in 'Members' Club Room' started by timepass, Feb 21, 2018. PAKISTAN'S IT INDUSTRY IS ADVANCING RAPIDLY AS EXPORTS JUMP TO $ 5 BILLION THIS YEAR AND EXPECTED TO REACH $6 BILLION NEXT YEAR. 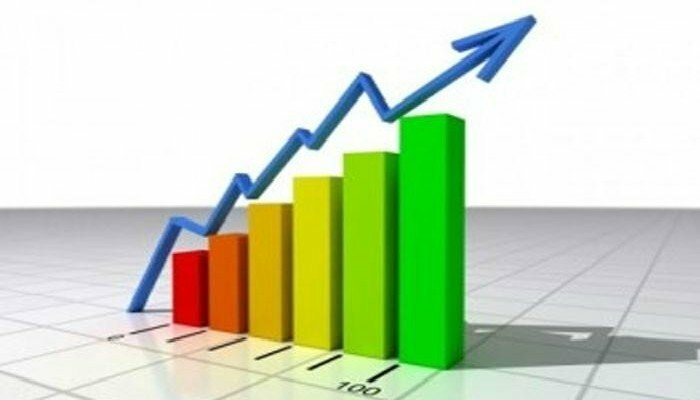 ISLAMABAD: The World Bank says that economic growth in Pakistan is forecast to increase to 5.5 per cent in the fiscal year 2017-18, and reach an average of 5.9 per cent over the medium term on the back of continued robust domestic consumption, rising investment and a recovery in exports. However, the main risks to the outlook are domestic, including fiscal slippages, increasing liabilities related to infrastructure projects, slippages relating to upcoming general elections and weak tax revenues that can derail fiscal consolidation efforts, warns the Global Economic Prospects report published by the bank on Wednesday. The report says that in Pakistan growth accelerated in fiscal year 2016-17 to 5.3 per cent, somewhat below the government’s target of 5.7 per cent, as industrial sector’s growth was slower than expected. Activity was strong in the areas of construction and services and there was a recovery in agriculture production with a return of normal monsoon rains. 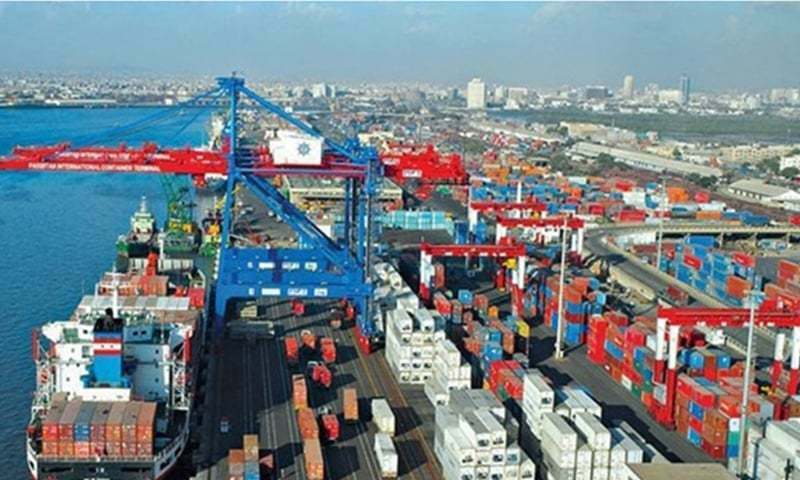 In the first half of fiscal year 2017-18, the activity continued to grow, driven by robust domestic demand and supported by strong credit growth and projects related to the China-Pakistan Economic Corridor. Meanwhile, the current account deficit widened to 4.1 per cent of GDP compared to 1.7 per cent in the previous year, amid weak exports and increasing imports. 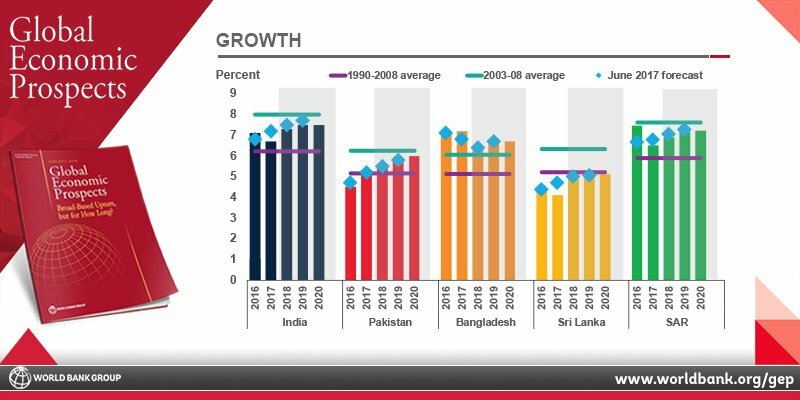 In South Asia, economic growth slowed to an estimated 6.5 per cent in 2017, marginally below the June 2017 forecast owing to temporary disruptions from adverse weather conditions across the region. The region’s growth prospects appear robust, with household consumption expected to remain strong, exports expected to recover, and investment projected to revive with the support of policy reforms and infrastructure improvements, according to the report. Growth in the region is expected to pick up to 6.9 per cent in 2018, and stabilise to around 7.2 per cent over the medium term, but would remain slightly below June projections due to the weaker-than-expected recovery in domestic demand. The forecast assumes strengthening of external demand as the recovery firms up in advanced economies amid supportive global financing conditions. Monetary policy is assumed to remain accommodative as modest fiscal consolidation continues in some countries. Corporate debt overhangs and high levels of nonperforming loans have been longstanding concerns in some countries of the region. Setbacks in efforts to resolve these domestic bottlenecks will continue to weigh on investment, and more broadly on medium-term growth prospects in the region. Recent adverse weather conditions have reduced agriculture output in some cases. Such developments continue to pose risks to regional growth. Recently, remittance inflows have been subdued due to fiscal consolidation and growth slowdowns in the Middle East, which constitutes roughly half of remittances to South Asia. Outside India, fiscal consolidation slowed in 2017 as a result of revenue shortfalls and increased government spending in the Maldives and Pakistan. Current account deficits gradually widened across the region particularly in India, Bangladesh and Pakistan. In particular, non-performing loan ratios remained high, around 10 per cent, despite progress in some countries like Pakistan, Afghanistan and the Maldives, the report says. Growth in Pakistan is expected to pick up in 2018 and 2019, but it will be subdued, the International Monetary Fund (IMF) noted on Monday in its update of the World Economic Outlook. The report was launched on the opening day of the World Economic Forum meeting in Davos, Switzerland. Pakistan achieved a growth rate of 5.3% during fiscal year 2016-17, the highest in a decade, but it was short of the government’s targeted 5.7%. 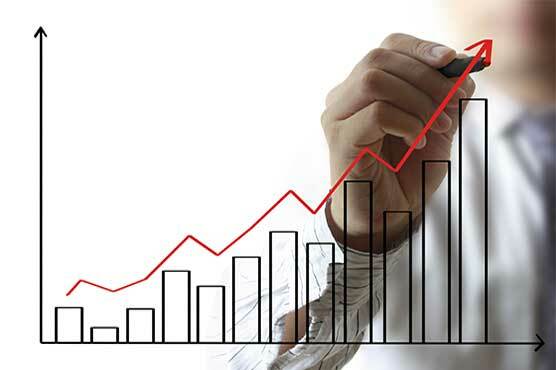 Despite being held back by subdued growth in the manufacturing and agriculture sectors, Pakistan’s economy has been showing an upward trend in the first six months of the ongoing fiscal year. With the target for 2017-18 set at 6%, most believe the economy would be able to continue its growth, if not meet the goal. The IMF also revised up its forecast for world economic growth, saying sweeping tax cuts in the US were likely to boost investment in the world’s largest economy and help its main trading partners. 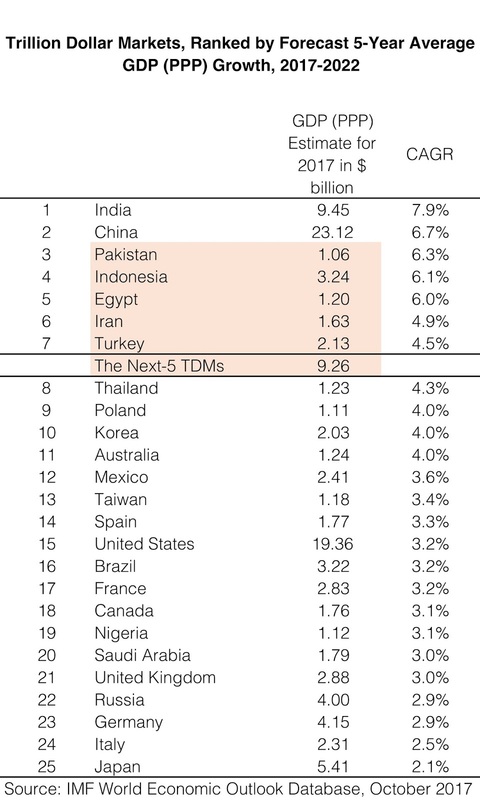 The report noted that growth in Middle East, North Africa, Afghanistan and Pakistan region is also expected to pick up in 2018 and 2019, but it will remain subdued. The IMF underlined the need for economic efficiency, inclusiveness of growth and the urgency to take measures that will counter next global downturn. This is the first time that the World Economic Outlook Update has been launched in Davos. 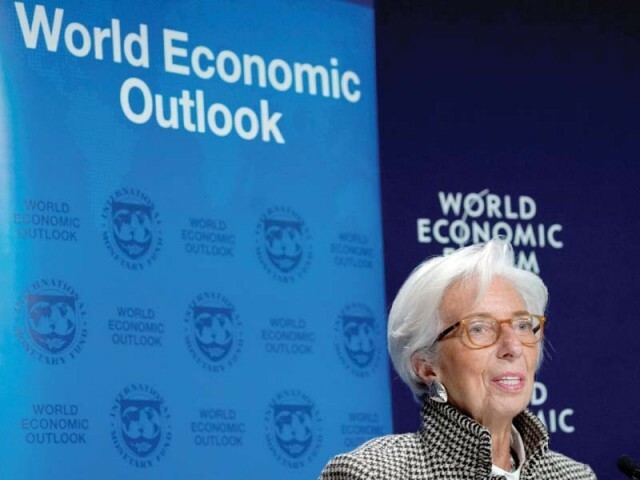 Global growth has been accelerating since mid-2016, and all signs point to a further strengthening both this year and the next, said Christine Lagarde, the managing director of the IMF. While this is welcoming news, she cautioned that any kind of complacency would be a mistake. “We certainly should feel encouraged, yet we should not feel satisfied,” she added. The IMF said that the current economic position might appear to be a sweet spot for the global economy, but prudent policymakers must look beyond the near term. It encouraged global leaders to build policy buffers, reinforce defence against financial instability and invest in structural reforms. At the same time, while growth is higher, it is mostly cyclical. Absent reforms, the fundamental forces that had us worried about the “new mediocre” – and future growth potential – will remain in place, she added. The IMF official said that there is also significant uncertainty in the year ahead. The long period of low interest rates has led to a build-up of potentially serious financial sector vulnerabilities. This week is a perfect opportunity for world leaders to focus on those repairs. The theme of this year’s WEF annual meeting is: ‘Creating a shared future in a fractured world. She said that the shared future will depend upon shared growth. “The policymakers should use this moment to make the difficult structural and fiscal reforms that might not happen otherwise. “This means taking steps to boost long-term growth, paying down debt in places where it is too high, and in other places, investing back into the economy through infrastructure and effective social spending. The IMF said that in advanced economies where output is close to potential, still muted wage and price pressures call for a cautious and data dependent monetary policy normalisation path. Published in The Express Tribune, January 23rd, 2018. ISLAMABAD: Exports grew nearly 15 per cent year-on-year in December 2017, raising hopes about a revival in the overseas sales of Pakistani goods. The upward trend in exports will contribute towards bridging the deficit in current account, which is under pressure because of rising oil prices and growing imports of other fuels and machinery. In absolute terms, exports edged up to $1.97 billion in December from $1.72bn a year ago, data released by the Pakistan Bureau of Statistics showed on Wednesday. In the first half of the current fiscal year, export proceeds recorded an annual growth of 11.24pc to $11bn. Talking to Dawn, Commerce Secretary Younus Dagha said exports have been increasing since last June. They increased 12.3pc and 14.8pc in November and December, respectively. He said the premier’s export package, realistic exchange rate and growing international demand will help maintain the growth momentum. Imports recorded an increase of 19.1pc to $28.97bn in July-December. They grew 10.1pc year-on-year to $4.91bn in December. Mr Dagha said the upward trend in imports, as witnessed throughout 2017, also slowed down in December. The increase in imports, which was 37pc in January and July, came down to 10pc in December. This is despite the fact that crude oil prices went up from $47 per barrel in July to $67 per barrel in December, showing an increase of 43pc, he said. Excluding fuel imports, which registered an increase of almost 30pc, the rest of imports have shown only 1pc rise, the secretary said. He said imports of non-oil and non-essential consumer goods are expected to remain under control due to import rationalisation initiatives. However, rising oil prices and higher machinery imports remain a challenge for the balance of trade, he added. Imports of mobile phones and apparatuses also witnessed tremendous growth during the period under review. The merchandise trade deficit swelled nearly 25pc to $17.96bn in the first six months of this fiscal year. It rose 7.12pc year-on-year in December to $2.94bn. The last fiscal year saw the trade deficit rise to an all-time high of $32.58bn, representing year-on-year growth of 37pc. The country’s annual trade deficit was $20.44bn in 2013. It has been continuously on the rise since then. ISLAMABAD - Pakistan's exports are expected to touch $23 billion benchmark during current fiscal year due to the prudent trade policies of the incumbent government, said Secretary Commerce Muhammad Younus Dagha on Wednesday. "Exports are showing healthy increase during ongoing fiscal year and expected to increase to $23 billion," the secretary said while addressing consultative session on the Strategic Trade Policy Framework (STPF) 2018-2023 in Islamabad. The ministry held consultation meeting Wednesday under the chair of Younus Dagha for the next five years STPF by taking inputs from the relevant stakeholders. Pakistan's exports had started increasing during ongoing financial year after continuously tumbling in last three to four years. The report, titled "The long view: how will the global economic order change by 2050?" ranked 32 countries by their projected global gross domestic product by purchasing power parity. antiterror13 and Equation like this.